The Manual and What Works can be purchased from LexisNexis® and will be available on the LexisNexis® online platform later in the year. Online versions of the Manual and What Works are also available on this site. 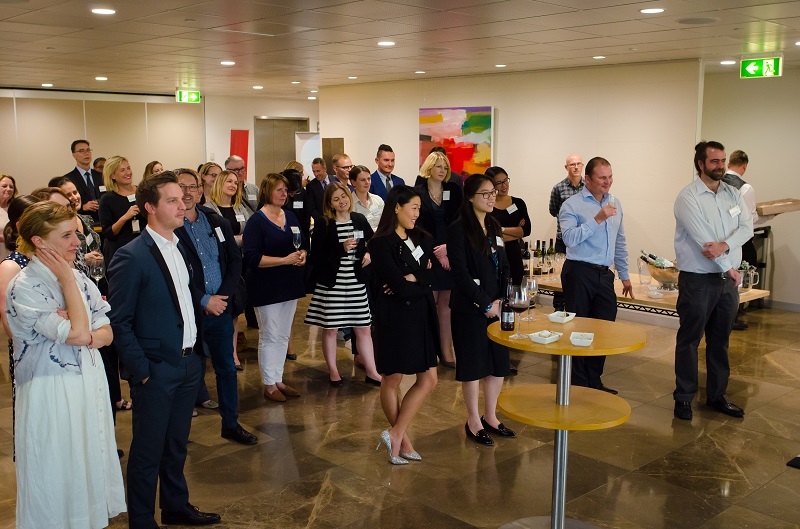 The launch of these two companion publications was held at the offices of Colin Biggers & Paisley Lawyers and attended by representatives of Australia’s leading law firms and the legal assistance sector. Together the Manual and What Works seek to facilitate the provision of pro bono legal services to address unmet legal needs and further access to justice. 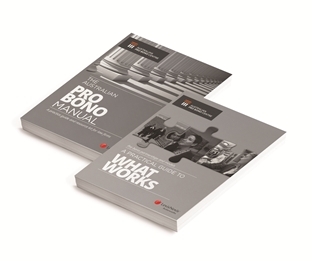 The Manual, first published in 2003, is the leading Australian guide for law firms looking to establish, manage and develop their pro bono programs. Written by experienced pro bono professionals, it provides practical guidance on the key elements required to operate a successful pro bono practice, including a number of pro forma precedents generously contributed by participating firms. 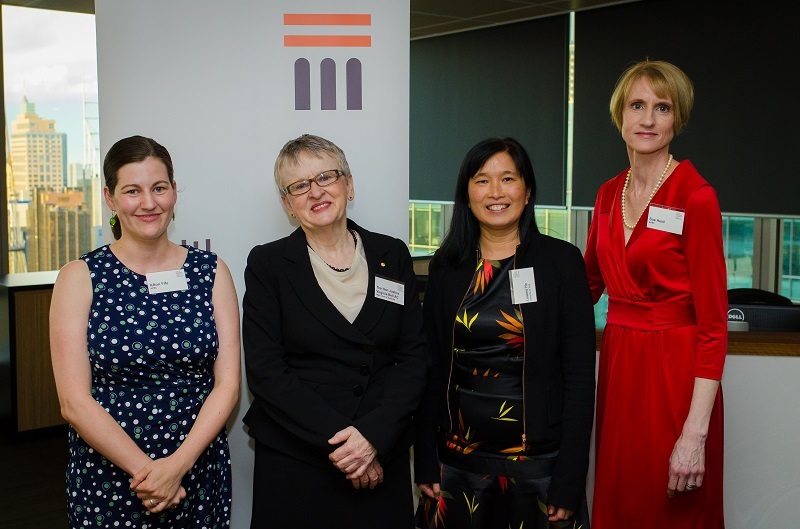 The three editors, writers and compilers of the Manual and What Works Afton Fife (Senior Policy Officer, Australian Pro Bono Centre), Leanne Ho (Pro Bono Development Senior Associate, Henry Davis York) and Sue Hunt (Policy Officer, Australian Pro Bono Centre) with her Honour, the Hon Justice Virginia Bell AC (High Court of Australia). Photo by David Stone. What Works, first published in 2013, aims to help those involved in providing, seeking and brokering pro bono legal assistance to develop successful pro bono partnerships. For lawyers and firms offering pro bono assistance, and for community organisations seeking it, What Works provides a deeper understanding of how to build and strengthen relationships with pro bono partners; case studies identifying the features of successful pro bono projects; and how to address common challenges. 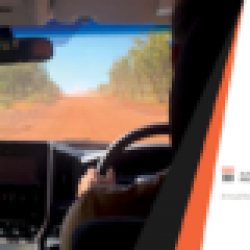 The Manual and What Works are published with the generous assistance of LexisNexis®, a leading provider of legal information and an organisation committed to supporting professionals and organisations that work to further access to justice through its Rule of Law initiative. Both publications can be purchased from LexisNexis® and will be available on the LexisNexis® online platform later in the year. Online versions of both publications are also available on the Centre’s website. 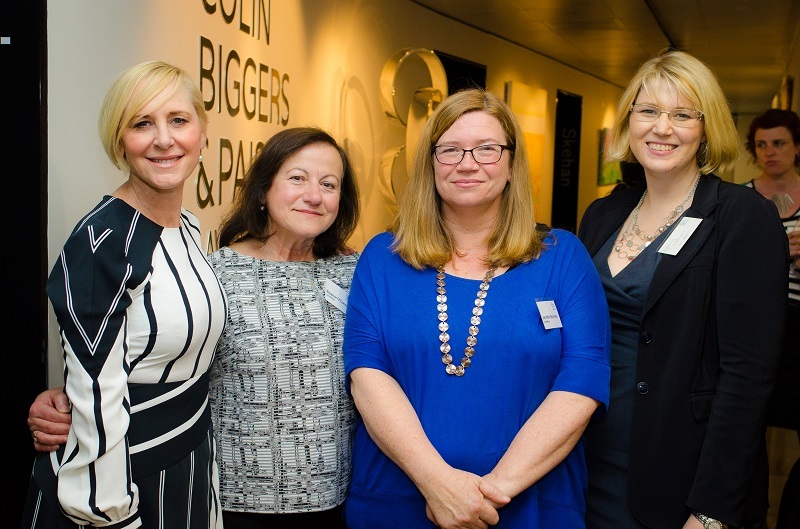 Joanne Beckett (Managing Director Australia, LexisNexis), Eleanor O’Connor (Portfolio Manager, LexisNexis), Jennifer Burrows (Content Developer, LexisNexis) and Myfanwy Wallwork (Executive Director, Regulatory Compliance, LexisNexis). Photo by David Stone. The audience listens to the Hon Justice Virginia Bell AC launch the Manual and What Works at Colin Biggers & Paisley Lawyers. Photo by David Stone. 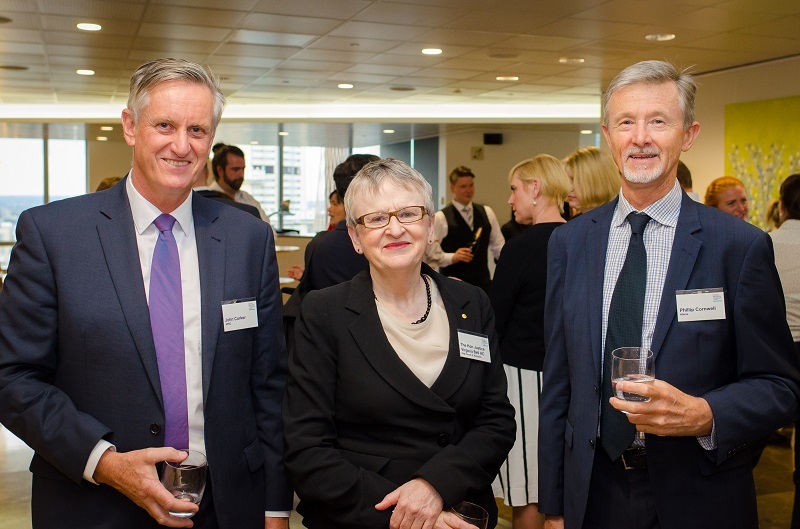 John Corker (CEO, Australian Pro Bono Centre), the Hon Justice Virginia Bell AC (High Court of Australia) and Phillip Cornwell (Chair, Australian Pro Bono Centre & Senior Finance Counsel, Allens). Photo by David Stone.